Don’t Kill Your Picking Technique with These 5 Easy Mistakes! Home / Blues / Don’t Kill Your Picking Technique with These 5 Easy Mistakes! 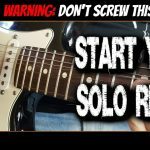 Don’t Kill Your Picking Technique with These 5 Easy Mistakes!! Don’t kill your guitar picking technique by making these 5 common picking mistakes! In this picking lesson we cover picking hand tips, picking hand position, holding the pick, alternate picking and more. 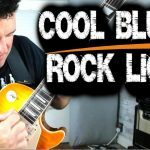 I’ll also show you 3 simple alternate picking technique exercises you can use to practice and develop your picking chops. So jump in and give your picking technique a workout! SORE FINGERS HURT FROM PLAYING GUITAR?